Tide Stain Stick smells 65% more like vomit than it should. 30% of the time I smell or see vomit, I also vomit. 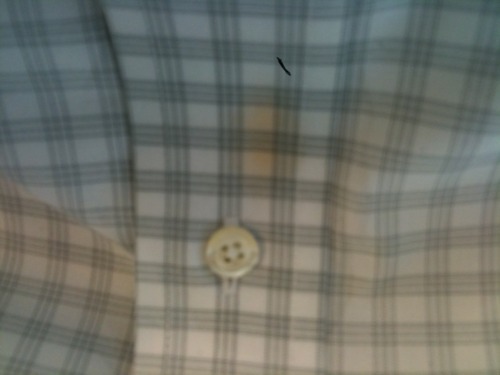 This means that one out of every five times I use Tide Stain Stick, I will vomit. I’ve now used Tide Stain Stick two times. If I vomit on my shirt, and then use Tide Stain Stick to try and remove the vomit stain, will the two vomit scents cancel each other out? An equilibrium of vomits? This is unnecessarily disgusting. As someone who is repulsed by all things vomit, I know that I would be appalled if I were reading this somewhere else. Unfortunately, the Tide Stain Stick vomit smell has become so fierce that I have no choice but to acknowledge it. I can literally see the smell of vomit wafting off my shirt at this point. Literally. The Black Point Inn (Maine) – Sat in the sun for 22 hours straight without sun screen while trying to complete my summer reading three days before school started. In hindsight, I should have read A Separate Peace (204 pages, large font) instead of Black Boy (448 pages, micro font). Needless to say, after a dinner of one piece of bread, my skin started flaking off and I stumbled back to the room to pass out. I only made it ten steps out of the front door of the dining area before I unleashed a fire hose stream of liquid vomit across the parking lot of the five star inn. I went to the room and shivered for hours while some poor soul hosed down the lot. Company Bathroom (Boston) – After an hour long meeting with my new management team, it became clear to me that they had preconceived notions of hating me. For years, I blamed this vomit on drinking too much tea. In hindsight, it was certainly stress induced vomit. Unlike the Black Point Inn vomit, this was timid and did not include much substance. Rather, the only substance that I upchucked in that office bathroom was the hopes and dreams that I had been harboring about a long illustrious career with this company. In other words, purely a dry heave. Club La Vela (Panama City Florida) – Spring Break, March 2000. Discretely vomited into my hand after drinking something that, looking back, was almost certainly warm Tide Stain Stick. Discovered a goldmine of Big Red gum and cologne in the men’s room. Remaining details are hazy. This entry was posted in regular and tagged Puke, Throw up, Tide Stain Stick, Vomit by Rob Pollak. Bookmark the permalink.